You are browsing the Blog for The Aviator Archives - Exclusively Analogue. 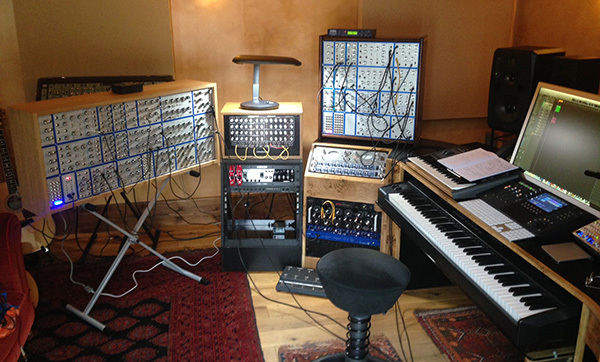 We recently had the pleasure of delivering a Pioneer “Tribute” system to the studio of Steve Everitt, an accomplished professional composer and musician. Steve has been a regular contributor to ‘Eat Static’ – an eclectic electronic band headed by Merv Pepler. 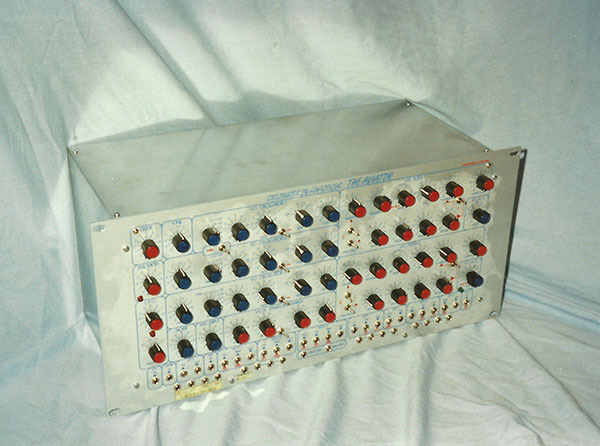 Taking along another Pioneer “Tribute” system and combining it with Steve’s Aviator meant there was a total of 5 complete Exclusively Analogue synth lines. The rest of the day was spent experimenting with the two modular systems and creating a variety of interesting sounds which, even in fairly simple sequences, sounded good. Seeing and hearing the equipment being used by a professional was a very rewarding experience. Merv Pepler joined later in the day, primarily so he could see the two Tribute systems together. Merv was very familiar with the Aviator, having recorded Steve’s on a number of albums in the past and as a result is considering, like Steve, stepping into the modular world. Merv was definitely impressed with the Tribute system and it is likely that he will have the very last system as well as one of the last Aviators. Interestingly, both Steve and Merv have been considering adding some of the more popular ‘Eurorack’ size modules to their collection however both seemed to prefer the larger format of the Emu design. The advantage of the Eurorack equipment is that you can cram a lot into a small space which is ideally suited to the ‘bedroom musicians’. Lots of people spend time on modulars creating new and interesting sounds and Steve made the comment that he was concerned he would spend too much time ‘wiggling’ and not making music. With Steve and Merv I know that any analogue equipment they have will be used to create music which is, after all, what any musical instrument is for – not solely as a piece of furniture. It’s always great to hear the stories and thoughts of Aviator owners and this post is more of a guest post than anything else. The owner of Aviator No.28 has written in to give us his story and how he has used it as part of the setup for his band Eat Static. When I bought my Aviator, I was in an experimental techno band called Eat Static. That was around the time of our 3rd album, ‘Science Of The Gods’, so probably 1997. Your synths were as rare as rocking horse poo at the time and highly sought after. Luckily, I had become a successful Production Music composer in my day job and was able to pay a bit over the odds for mine. Worth every extra penny! There were three members in Eat Static and we had an enviable collection of analogue synths and drum machines. 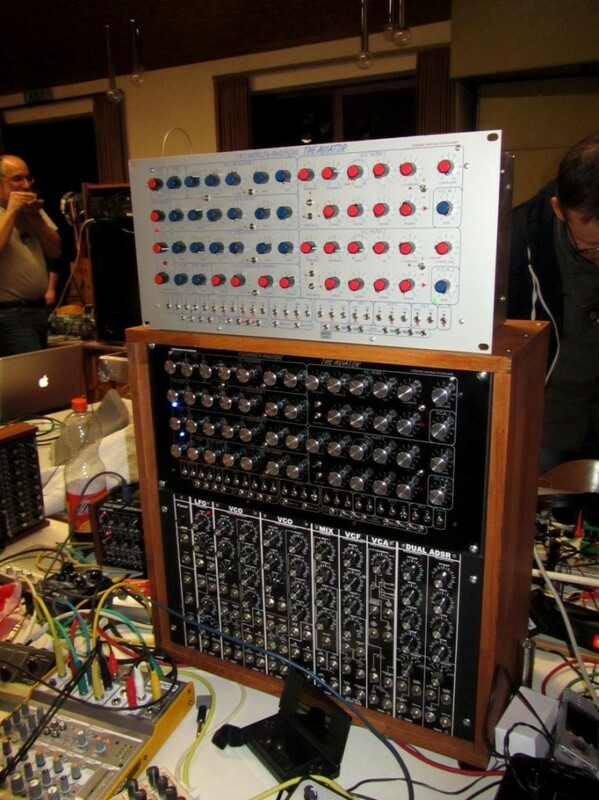 No modular synths, though, (unless you include the Waldorf Wave with its then innovative digital ‘patchbay’). All three of us had (and I think still have) a Roland SH-5, famous for its raucous bandpass filter, ring modulation and useful patching switches. The SH-5 was perfect for creating the sound of imaginary animals or alien voices, a kind of signature in our music, so the Aviator was initially tasked with trying to outdo the Roland in this regard. I remember that we used to sample little snippets of the Aviator making atonal screeches, sweeps, bubbles and other ‘cross-mod’ effects and then set up sampler patches with multiple Aviators, one sound on each key, (something I still do today). Also, we would use MIDI to CV/Gate units to send a rhythmic part to the Aviator to create deranged hi-hats, guiros, congas etc. Of course, the fun part was twiddling knobs ‘live’ while recording these rhythmic parts. The three of us were always in competition over who could create the most outrageous noises and make the others laugh most. To make things even more interesting and enjoyable, we would try to pull faces that matched the sounds. All this while surrounded by about 30 cats in my studio. Happy days! What I’ve always enjoyed about the Aviator is not so much its sublime, warm musicality, (which is there, of course), but its ability to ascend to the ridiculous via unheard groans, squelches, burbles and all manner of grotesquerie which innovates rather than imitates. Analogue synths have a character and, while others are known for their warmth, purity, complexity or rawness, for me the Aviator endures for its ability to do all those and be funny and rude without being offensive – probably because its British, and exclusive. As you can see from the image above, Aviator #28 had a custom front panel and colour scheme making in a definite collectors item. Aviator No. 41 is built, tested and ready to be delivered and work on No. 42 is about to begin. Here’s hoping that No. 42 will indeed be the answer to life, the universe and everything for the person that’s ordered it. Keep an eye out for some more photos of The Aviator in coming weeks as there have been a couple of custom requests we’ll hopefully be able to share with you. In the meantime here’s a few more sound samples for you, quickly recorded on a laptop while testing No. 41 so apologies for the sound quality. One of the sounds demonstrates the VCO sync function used for the lead synth part of a Jean Michele Jarre piece and what makes it great is that it’s almost the analogue synth equivalent to an overdriven electric guitar. Another sound demonstrates the “Sample and Hold” in use controlling the VCF frequency to give random frequency changes of the resonating filter. Why Analogue Synths In A Digital World? I’m often asked why I remain firmly rooted in the past using technology from the 1970s and 1980s rather than taking the leap into the present and embracing the digital world. While you might think at my age I would enjoy nothing better than driving my car listening to classical music, heavy rock or perhaps the Bee Gees it might surprise you to know that Tiesto, the Swedish House Mafia, or a Trance compilation (played at the required high volume sufficient to get the whole car to become a bass resonator) is nearer the truth! I know Trance is an acquired taste but what attracts me is that if you listen to most tracks you can guarantee that a lot of the sounds used are “analogue'” in origin and in particular a great deal of use is made of sweeping filters. Analogue synthesizers have been part of my life since the early 1970s when I used to listen to Keith Emerson, Rick Wakeman, Wendy Carlos, etc playing their Moog synths. I was captivated by the sound and my journey into building analogue synths began in 1977 when I built my first one, based on an article in an Electronics magazine. This synth, a Minisonic, was built whilst serving on HMS Hermes and whilst it was a basic analogue synth is could still produce some awesome sounds. Little did I know that my passion for analogue synthesizers would take me on an incredible journey. 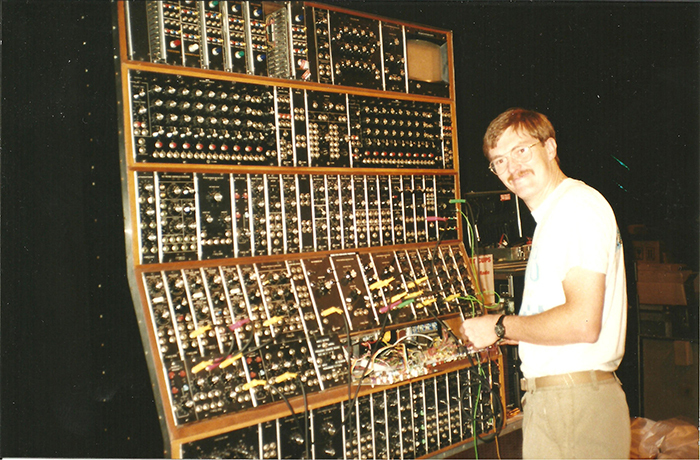 In 1992 that same journey took me to a studio in North London where I ended up working on one of the most famous analogue synths, Keith Emerson’s huge Moog Modular. To think that 20 years earlier I had listened to this monster being used on the numerous ELP albums and there I was working on it! 20 years on from that and here I am still pursuing my passion and building analogue synthesizers again.